Sponsor: By Hand is a series of lookbooks that focus on different fiber and fabric “making communities” around the country. Each serial features photo journals and interviews with both up-and-coming and well-known yarn designers and dyers, local yarn stores, knitwear designers, fabric artists, and other makers who share the same philosophy and aesthetic of hand crafting functional forms to share and connect with others in the community. Projects, patterns, classes, and opportunities to purchase the artists’ work are also included, as well as opportunities to share what is beautiful and unique about each locale. 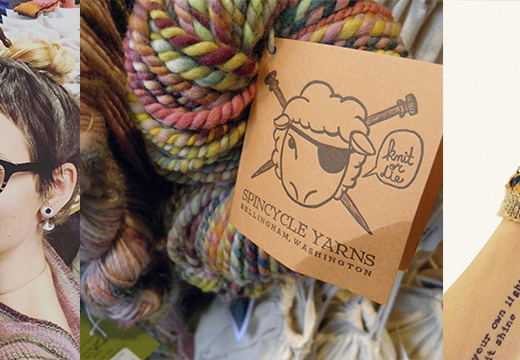 Issue #1 features Portland, Oregon – meet local yarn dyers, designers, companies, and an amazing local yarn store. Find recipes, exclusive knitting patterns made from our featured yarns, and other hand craft projects. Learn about some of the artists who make up Portland’s creative community, including a pastry chef, an indigo dyer, a letterpress designer, and a team of ceramics artists. 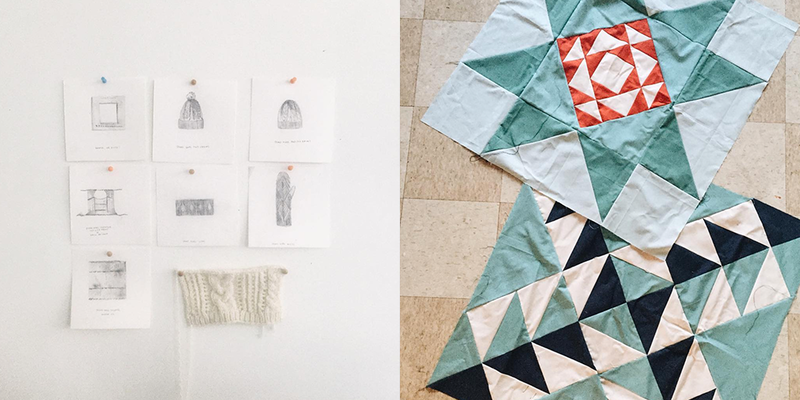 Find hand making classes in Portland that will inspire and challenge you. Take a photographic day trip to Timberline Lodge and enjoy the beauty and diversity of Portland. Giveaway: The winner of last weeks giveaway is Teresa Cochran. You’ve won a subscription to Taproot Magazine, congratulations! 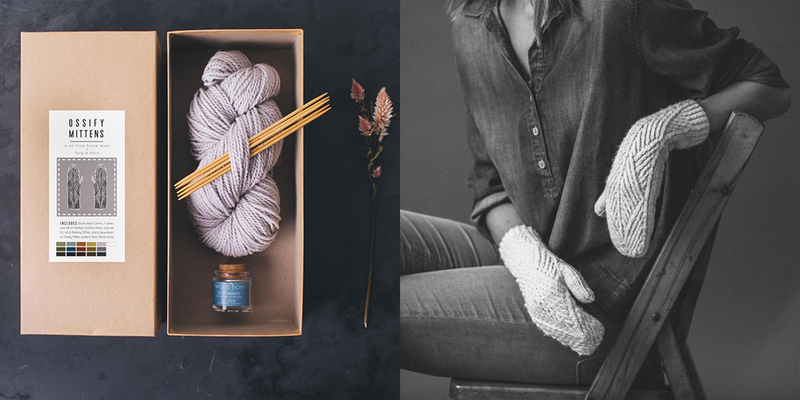 This week’s giveaway is sponsored by Twig and Horn and they’re giving away the Ossify Mitts kit, featuring Stone Wool Cormo yarn in Tobacco 3 and Twig and Horn stitch markers and Brittany double point needles. To enter, leave a comment on this post. 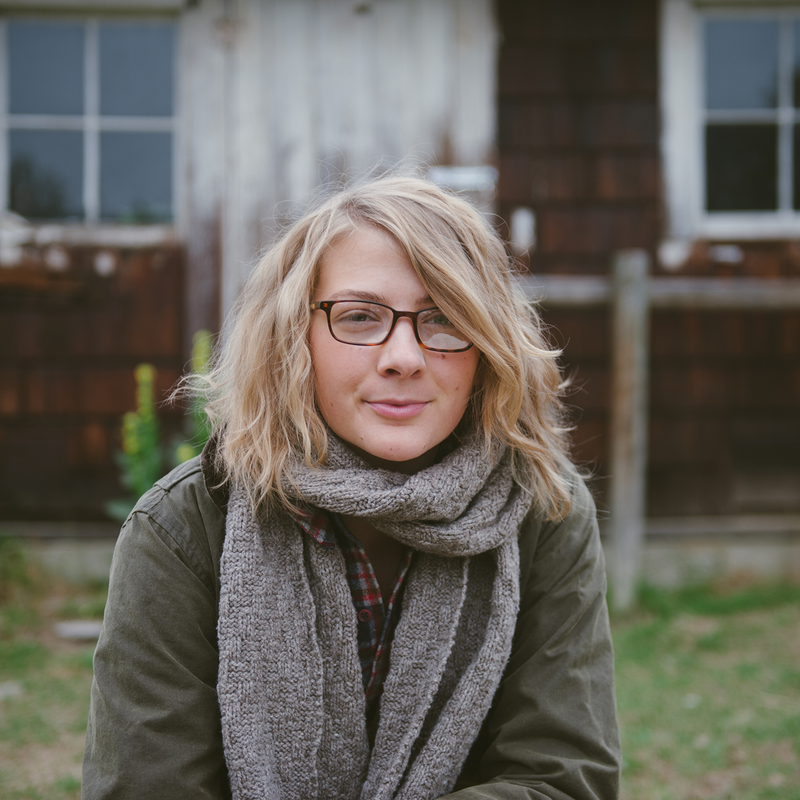 Episode 6: Jennifer King & Bristol Ivy – Generational gaps, fiber industry passion, building a fiber farm and sheep dreams. I’d love to try the yarn and knit the mittens! Both look beautiful. Oh boy! Can’t wait to listen! I loved the last one, especially since I’m a Colorado girl! Another great episode! 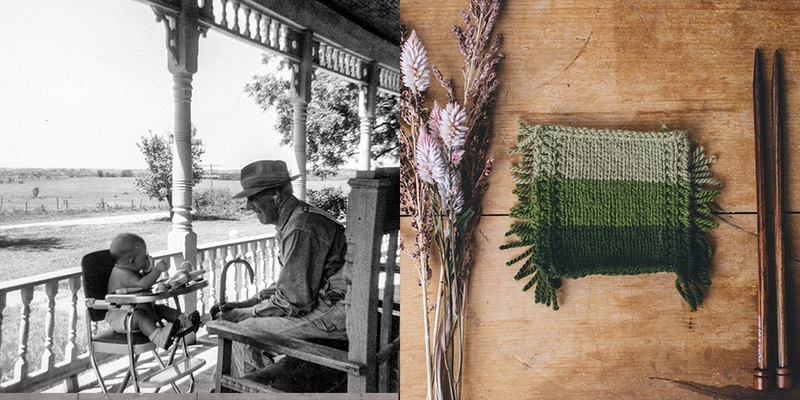 Japanese knitting culture seems like a great entry point into the craft, too. What a journey she has had! I can’t wait to try the Stone Wool, it looks so squishy and the colours..! Really great interview. 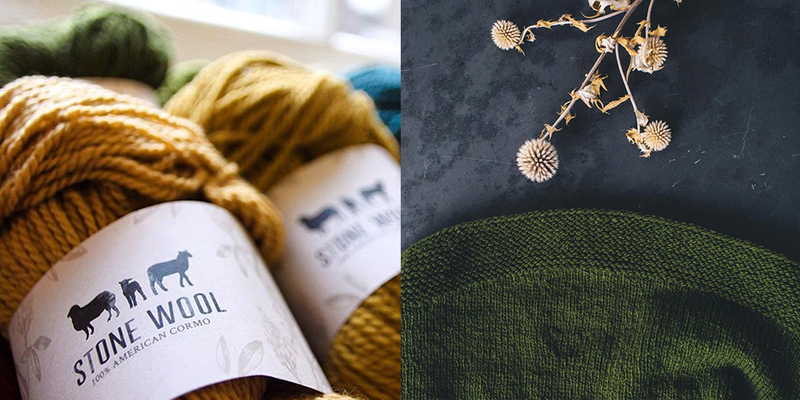 news about stone wool is popping up all over the internet…looking forward to tea, yarn and the podcast this week. Ashley, your podcasts are so addicting! Entertaining, educational but most of all personal. So amazing to feel connected to the remarkable people you interview. 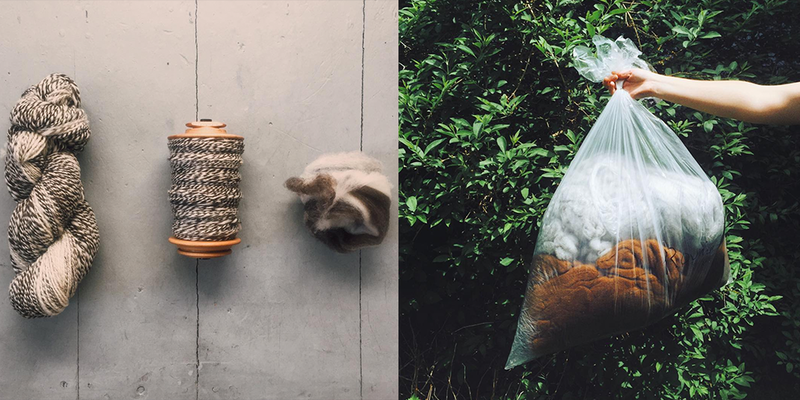 You have set me on a new path in terms of how I look at fiber and what it means to hold a skein of cormo in my hand that comes from a small farm producer. Am thrilled to find this source for cormo…. an amazing fiber!! Hopefully when I’m a designer people won’t mix us up ;p Whitney is a truly inspiring individual who I’ve been following for a while and I can’t believe she has her own yarn line I didn’t know about! I’m excited to try it. So excited to listen to this episode. Whitney Hayward’s yarns are beautiful! I would love to try Stone Wool! Thanks for the chance to win. I’m so eager to try out Stone Wool, and the Ossify pattern looks amazing! I can’t wait to listen to this tomorrow (at work :-o) cannot believe you found the time to finish another episode. I would LOVE to try this kit. Everything from Twig & Horn always looks amazing! What a great interview. Can hardly wait to try Stone Wool. Thanks. Another lovely giveaway and awesome podcast! Thanks! Lovely podcast. Have been wanting to knit with Cormo for a long time. I’ll be ordering Stone Wool anyway. Love the colors. 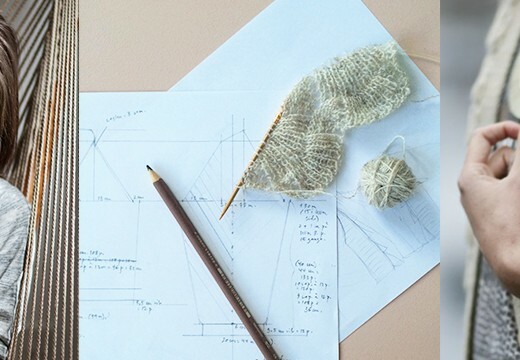 Listening to this podcast was a beautiful way to tie up my day knitting. Beautiful colors in this ossify mitts kit! Just started listening this evening. Looking forward to hearing more! Cormo is so dreamy! Congratulations on the baby! I too was surprised to see a new podcast episode so soon (unless you finished it before he arrived). I’m a journalist and agree — the emotional component of the work can be hard. Thank you for giving away this wonderful kit! In a mitten knitting mood…1st storm of season yesterday. Snowblower broke so there was shoveling….grrr! Cast on a pair from thickly handspinning Icelandic. Now if only thumbs could be optional! In a mitten knitting mood…1st storm of season yesterday. Snowblower broke so there was shoveling….grrr! Cast on a pair from thickly handspun Icelandic. Now if only thumbs could be optional! Lovely interview! I never tire of hearing everybody’s stories how they started knitting… Best wishes and congratulations Ashley for your new baby! Would love to try stone wool yarn. thanks for the podcast! I love the look of the Twig & Horn mitts, and tbh their entire website is to die for. I can’t wait to listen to this episode! Expecting a high of minus 8 on Friday, so warm woolly mittens are definitely in order. I love those mittens!!!! The yarn colors are simply gorgeous. Would love to win this kit. This was/is such a great episode! It was so lovely hearing Whitney tell her story after following much of it on instagram. 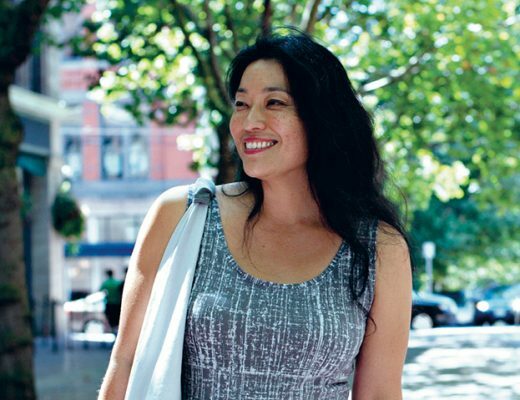 She is an inspiration for anyone trying to pursue a career in the fiber industry! Love the giveaway. The yarn sounds lovely! I just love your podcast…I find these stories so inspiring! Thank you for featuring American made producers so we can make knowledgeable choices when purchasing materials for our hobbys. So delighted there was a new episode today. I savor every one. What a great interview! So appreciate hearing about Whitney’s journey. I had a very similar study abroad experience but in China, not Japan. So fun to hear Whitney’s connection with her host mom as my host mom also knit. She knit the most beautiful baby clothes and just by looking at a photo! No pattern at all. It was great to learn the story behind Stone Wool, which I’m desperate to try. Thanks for another great episode! Really good interview. I enjoyed listening to the history of Stone Wool. Can’t wait to try out Stone Wool! Great podcast, as always. Thank you for the show, the giveaway and the support. Whitney, Your grandpa must be so proud! He will love getting a chance to visit with you & to see the beautiful yarn you have created. Great interview as always, Ashley! Can’t wait to see this wool in person. I love the colorways….Thanks! I’m a new listener and instantly hooked!! Loved listening to the podcast and I can’t wait to try Stone Wool! Love to see hear the journey of other fiber addicts… we are a breed apart. Thanks and good luck w/ Stone Wool. Its forty below here in the Yukon- those gorgeous mitts would help! Lovely interview and interviewee, as always. Thanks! This was (another) wonderful episode. I appreciated hearing Whitney’s story. Thanks. Just finished listening to my first Woolful podcast. Loved it! Whitney’s inspiring journey was just what I needed to hear today. What beautiful mittens! Looking forward to grabbing a moment with my knitting to listen to this episode. As a spinner and knitting, I’m really curious about a worried/woolful spun yarn. Would love the opportunity to try Stone Woolful. Another wonderful episode and still my favorite thing to listen to while knitting. 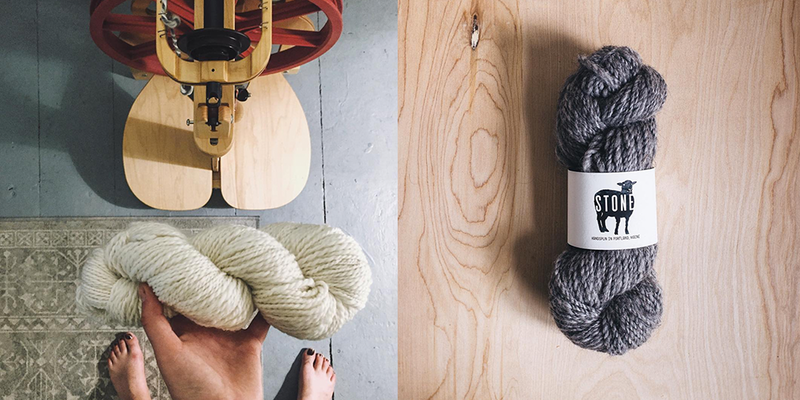 Thank you Whitney for sharing your story and also for including an undyed option for your lovely Stone Wool yarn! While I usually gravitate to neutrals, especially whites, the color palette for Stone Wool is just lovely. It is interesting to hear about different people’s paths to having a career in the fiber world. Thanks for this episode. Such a lovley prize I’m crossing my fingers! What a lovely podcast. Thank you! One of my favorite knitting accessories is my twig and horn knitting gauge. Their products are thoughtfully conceived. Combining with Stone Wool seems a good mstch. Thanks for the interview. A huge Congratulations! Thank you for another great podcast…how do you do it! Happy Holidays to you and yours! Twig and Horn products are wonderful and what an amazing story. Wow, what a lovely, intelligent young woman Whitney is. I appreciated hearing her story. And Stone Wool sounds awesome! So lovely! I have become so intrigued by Cormo since listening to the podcast. I love Whitney’s goal of sustaining a farm (or two!) with Cormo. I was surprised to see how reasonably priced it is compared to yarns that are marketed as being “sustainable” (for which there are so many definitions) I look forward to finding just the right project to call for a gradient line! What an interesting fiber artist. You are always able to get such wonderful information from the people you interview. Whitney’s designs for Twig and Horn are really beautiful…and I found her comments on the effects of being a reporter very thoughtful and sincere. Thanks for this inspiring interview. Enjoyed the podcast! Beautiful give away prize! I think this was one of my favorites of the podcast. It felt so honest and genuine and curious. Thank you for sharing! Also, the Stone Wool color palettes: wow. I’d love to win stone wool yarn. Great Podcast and thanks for a chance for the wonderful giveaway! Thanks for such a great podcast,listening Whitney’s story, you can tell from listening to her that she comes from good stock as my grandfather would say. 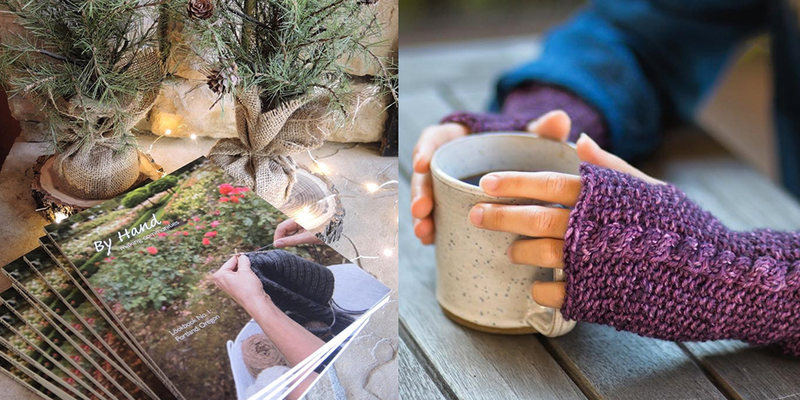 I would love to try the new yarn Stone Wool with the mitts pattern they look warm and pretty. Thanks for the chance. My raverly name is TwinPuggles. I just discovered your podcast last week, and I feel like I’ve found my people! I’m starting from the beginning, but expect it won’t take me long to catch up, what with the winter really setting in. Such an awesome episode! Loved Whitney’s story and her yarn. Fingers crossed! Another perfectly lovely episode. Would love to win this mitts kit, but always love to listen. Thanks! 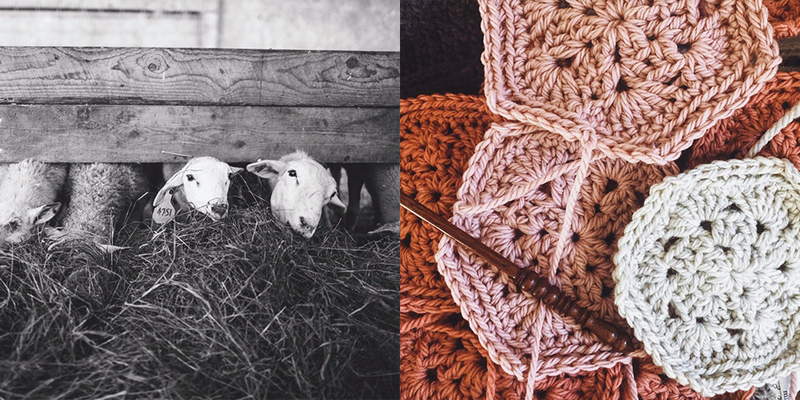 Beautiful and inspiring photos on the blog this week! Hope you are snuggling in with your babies and thanks for the great podcast. I appreciate your heartfelt connections with Whitney. I need to look up the Japanese designer she mentioned. I studied abroad too and really enjoyed hearing how knitting was integrated in her experience there. Interesting hearing Whitney’s experience with Japanese. We did not get along, but I have family there and have incredibly fond memories of being there – it was in the 80s and I wore hand knitted big colourful sweaters. These, of course, made me stand out even more than I would have anyway as I am only a couple of inches short of 6 foot! Stone Wool is the yarn from 2016 I’m most excited to try! Ienjoyed hearing about Whitney’s journey. Thanks for continuing to publish these great podcasts! So looking forward to listening to the podcast. Such a lovely giveaway. Beautiful designs, so crazy the variety in the fiber world! I love your interviews, and this one in particular. I ordered enough Stone Wool to make a sweater for my husband. Am in love with Cormo! Thanks to you and Whitney and Quince. And congratulations to you and your family. I would LOVE to try this yarn. And congratulations on Jude’s safe arrival! This looks like a great pattern! I’ve knit fingerless mitts before but never mittens. These look like awesome ones to start out with. Can’t wait to listen to the podcast later! Exciting! Thanks for another fabulous podcast! Thanks for your excellent work! Thanks for another great episode. I would love to try this yarn. 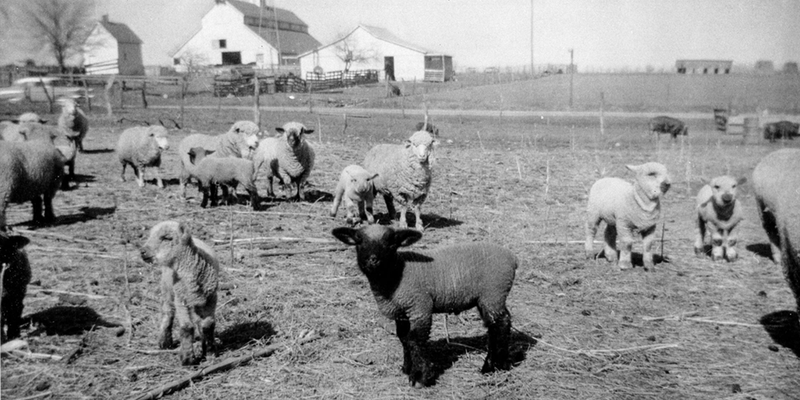 Love that Stone Wool is all about caring for ranchers and farmers! What a great episode! That yarn and mitten pattern look amazing! I enjoyed this podcast. The giveaway set looks amazing! What a cool kit, love those mittens! 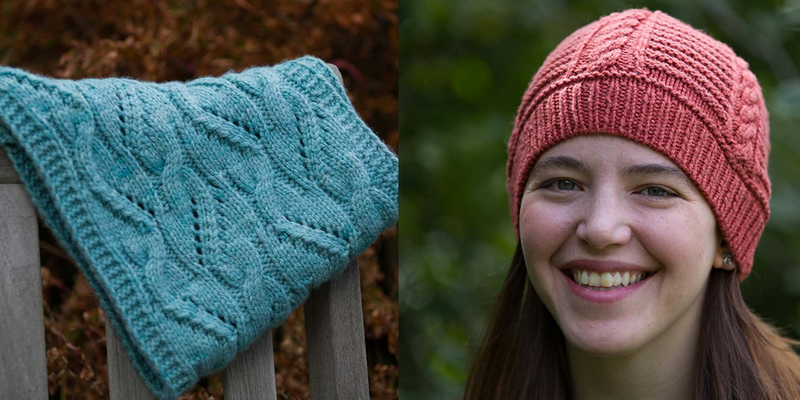 What a great pattern and would love to try this yarn! Such a lovely episode! I can’t wait to try Stone Wool! I’ m from Missouri! 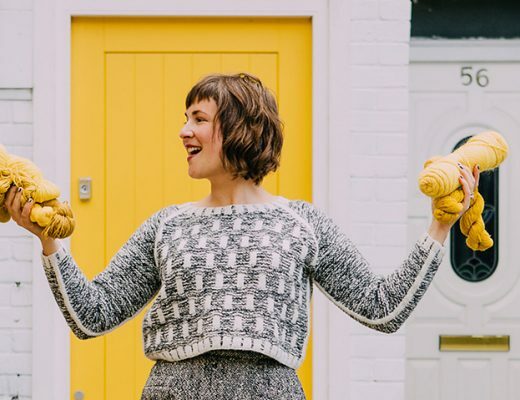 I find your story exciting and courageous and it encourages me to step out in my dreams of becoming a more accomplished knitter and spinner and who knows what more. Thank you from the “Show Me State”. Lovely mitts! I enjoyed this podcast immensely! Another great podcast. Funny…while I was listening I went to Twig & Horn and added that exact kit, then realized that I can’t justify the purchase until after Christmas. Happy Holidays! Loved this episode! 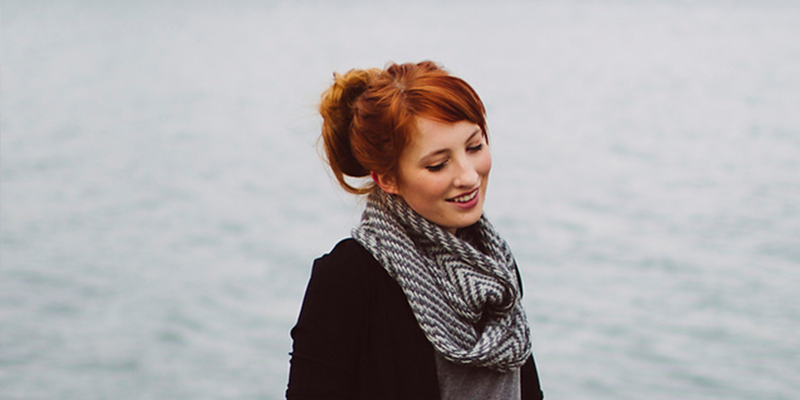 Thank you for introducing me to a very inspiring designer and yarn maker. What an amazing kit as well! Those mittens are on my “to make” list for sure. Thank you for the podcast! I started listening to it couple of months ago and got hooked. It is so nice to hear how other people got into knitting and fiber in general. 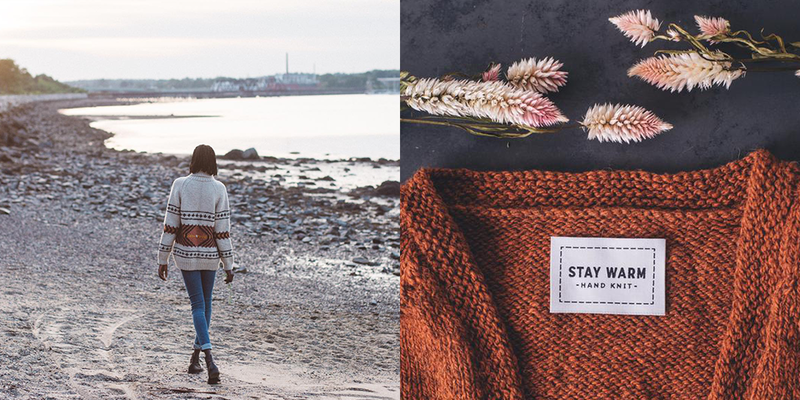 I think it is interesting to see the difference between the US community and my native Icelandic knitting community where it is more of an every day thing. I would love to knit something from stone wool as I have never actually knitted from yarn from the US even though I’ve lived here for 6 years. I just discovered your podcast and am in love with it! Thank you for making my time in the car more enjoyable! Loved the episode as always. Have been seeing Stone Wool on Instagram so was already interested and loving it! Thank you, Ashley for this lovely podcast and giveaway! I just love hearing all these passionate fiber enthusiasts talk about their lives and businesses. Another excellent podcast. Thank you. What an amazing journey for Whitney. Twig and Horn is new to me and interesting, worth checking out further. Thank you for these great podcasts! Just love the softness of Cormo! Interesting pattern. Lovely episode. I love Whitney’s designs! I can’t wait to listen to the next podcast! I’ve never had e mittens before- these are beautiful! As always, great episode full of inspiration and interesting journeys. I really enjoy your podcast. This prize sounds like a knitter dream comes true. What a beautiful giveaway! Thanks for the opportunity! Stone Wool is incredible! It is my Crush. It would not go into my stash and jumped immediately onto my needles! oh, I LOVE the new Stone Wool in Tobacco! It’s the perfect, perfect color. I have been on a very strict stash-busting diet but this one is the most dreamy temptation I’ve seen in forever. I can’t wait to try it out one of these days. I love that more yarn is coming from our own ranchers here in the U.S. We need to support them. Thanks for this episode, it was great! I so love all the angles on these mittens. Good luck to all of us. Can’t wait to give this episode a listen, with needles in my hands. Delighted to listen to another podcast. Sloan Rosenthal is in my weekly knitting group. So proud of her! Such a delight to hear Whitney’s story. Thank you! Haven’t listened for a while ( pregancy+new baby & all)…great podcast. Thanks! Another inspiring podcast. I need to learn how to crochet. Knitting is my love but a instant gratification is what I need. Thanks for sharing! Have just discovered your podcasts! Amazing. Just love listening to all the amazing creative wooly folks!! Thank you for another beautiful podcast. Love your podcast. One of my favorites. Thank you. Stone Wool is such an exciting line. Thanks for featuring it. I enjoy your podcasts; the format is excellent and your delivery is calming and engaging at the same time. They are absolutely great to listen to while I knit. Thanks for all of your hard work. So glad to have discovered this podcast! 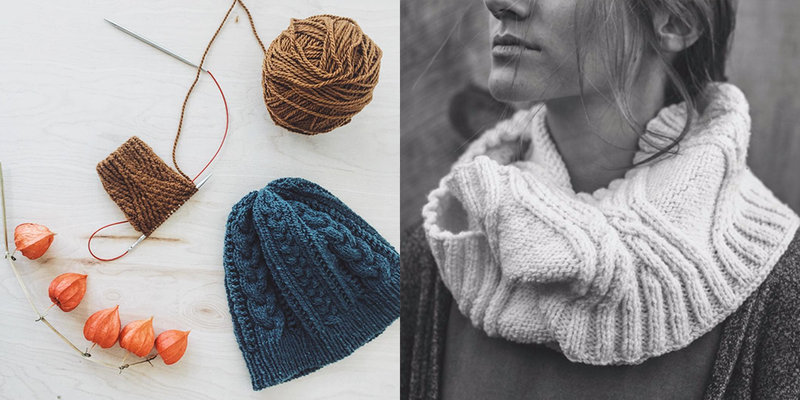 It’s the perfect knitting companion. Beautiful yarn. Great podcast. So glad to have found your site. This episode was so very near and dear to my heart. I grew up in Japan and learned to knit there too, using Japanese patterns. Visiting Portland, Maine is high in my travel list so perhaps I could meet Whitney. Oh what a chat we would have! Such a beautiful pattern! thanks for sharing so many great fiber stories! I love learning about smaller yarn companies. Thank you for this podcast! So much fun listening to your podcasts, and learning about the fiber journeys of so many talented and interesting people. I would love to try a project with Stone Wool! Another great episode. Thank you! Can’t wait to try out the Stone Wool. What an enjoyable and informative podcast! I love listening to your podcasts while I knit. It always motivates me to get my craft on 🙂 Keep up the great work ! This has been one of my favorite episodes yet! I’m excited to listen to this episode. I feel connected to it because I’ve lived in Japan and am a lawyer by training in Northern California and have been longing to knit mittens. I love hearing about fiber folk. Thanks! Loved listening on my 75 minute commute. Love the Stone connection. Loved it! Thanks for another excellent podcast! Great podcast, always good to hear about supporting farmers in this country. Thank you to show us the Withney’s journey! I am always amazed at the varied journeys that have brought people into this fiber community–and grateful for the twists and turns, even though as Whitney said, they don’t feel good at the time. There must be something healing in wool fumes! Congratulations Ashley 😉 and I wish you and your family a Happy New Year. After following Whitney on Instagram for a while now, it was great to hear her story. Thanks for sharing it! Great story and sounds like a wonderful wool! Lovely gift! I would love to try knitting with Cormo. Love the mittens! Thanks for the episode and the giveaway! Another great episode and generous giveaway! Thanks! Those mittens have been in my queue since I first saw them on IG. They are gorgeous. 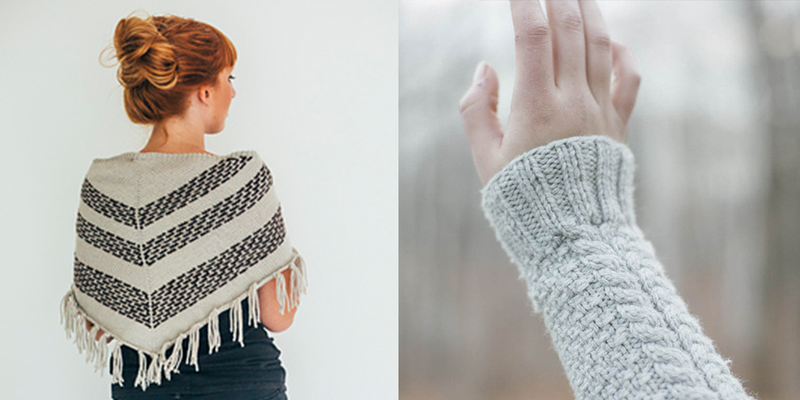 I love the mittens and would love to work with Stone Wool…thanks Twig & Horn and Woolful! Love the podcast – thank you for the generous giveaway chances! Thank you for another very interesting podcast, and a chance for this generous giveaway. Stone Wool looks beautiful. As always, lovely podcast, and lovely wool! Grabbing my socks in progress and start listening. The pics are always so inspiring…. For me too knitting is a way to connect with my grandmother. She was so talented! I really enjoyed this episode and the japanese experience. Thank you very much and wishing you a very happy new year. Very interesting experience! I learned from my grandmother too and I’m fascinated by japanese patterns. It was interesting to hear about the earthquake in Japan and the following great experience as a photojournalist. Thank you for the episode. Loved the podcast! Thank you for the opportunity to win the mitten kit. Listening while knitting a jumper for a wee girl – lovely episode, very thoughtful. I totally understand knitting to deal with unfamiliarity and change. I picked it up when I moved to Connecticut for grad school. So great to make a living doing what you love. I can relate wanting to get out of St. Louis. Not the happiest place on earth. Thanks for another great, inspiring episode! 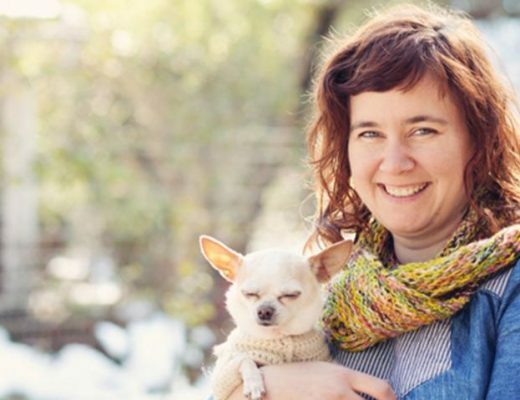 I am new to the knitting community and came across this podcast it was so interesting. I loved it. I have tried a few hats from Wool and the Gang and I’m looking into other projects.